New Stressless Recliner LegComfort Powered Ottoman. Let's take a minute and check out this amazing new technology in the world of comfort. This brand-new concept has been a long-time coming. Imagine the back-aligning comfort of a Stressless Leg Support with the hidden convenience of a leg-rest that folds away underneath your seat. This takes Stressless Comfort to the next level. It doesn't seem possible to make an Ekornes Recliner even more comfortable than before, but once you try these out, there will be no going back. The LegComfort Technology takes you to new heights of comfort and relaxation. The LegComfort support folds away when not in use. It effortlessly unfolds with the push of a button and can be adjusted to accommodate different leg lengths. This ensures virtually everyone can find that "sweet spot" and get ultimately comfortable. There are two primary areas that benefit from a leg rest that can fold away and be hidden underneath the seat. The first is for anyone with limited square footage. If limited space is an issue, being able to fold your footrest neatly underneath your seat allows for a greater range of movement in the area. Also, for our users that are older, being able to completely stow your footrest underneath the seat makes sitting and standing seamless. The best part about these "new technologies" is that they are still based on the same successful science that has made Ekornes an international success for more than 40 years. Ekornes has been making the world's most comfortable furniture and relaxation technology for nearly half of a century. It's safe to say that the engineers in Norway have a solid grasp on how to make the human body relax and unwind. Sounds Great- Which Stressless sofa models are available with power? The Stressless Breeze and Ekornes Lux are currently the only sofa models available for the Powered Leg Rest Option. You can choose 1 seat, 2 seats, or 3 seats with the Electric Leg Rest option. These will be click-able options on the product pages. We strive to make shopping as easy and comfortable as Ekornes' furniture. 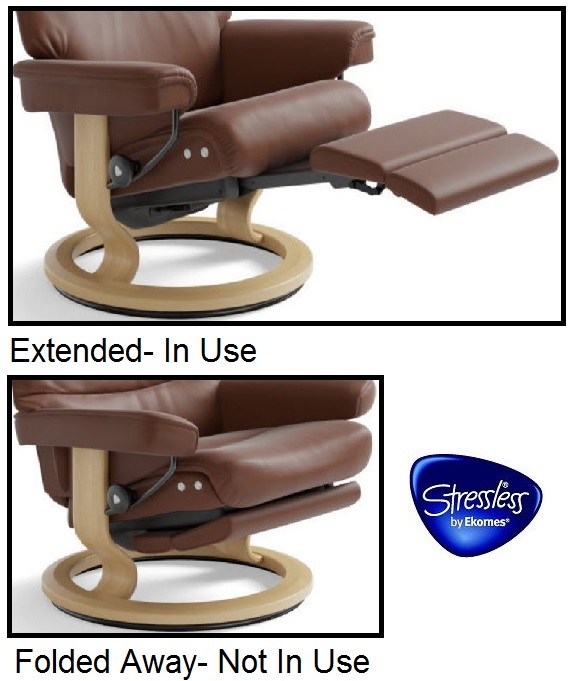 Which Stressless chair models are available with LegComfort Powered Ottomans? 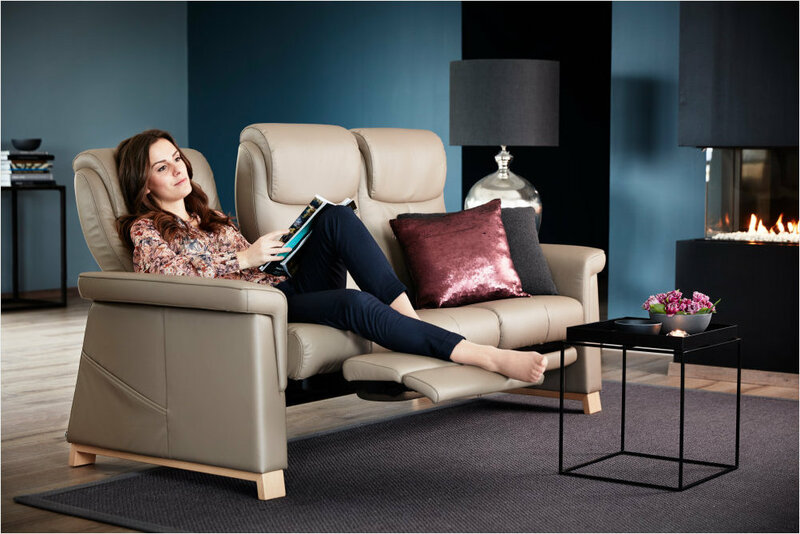 Bliss, Capri, Consul, Crown, Live, Magic, Mayfair, Nordic, Peace, Piano, Reno, Skyline, Sunrise, View, Viva, & Wing are all Stressless Recliners that can be ordered with the Electric LegComfort Leg Rest technology. The Stressless City, Metro, Paris, & London are not currently slotted to have the powered LegComfort option available at this time.